United Way of Tompkins County celebrates its 22nd annual Stephen E. Garner Day of Caring at Stewart Park’s large pavilion. Open to the public, the Day of Caring will offer a formal program at noon. The Day of Caring also is the culmination of a communitywide drive to collect nonperishable food, personal care items and school supplies to benefit local residents. This year’s Day of Caring will include a “food challenge” between a handful of teams, chosen on a first-come, first-served basis. These organizations will compete to see who can donate the most, based on weight. Cornell already has been accepted as one of those teams, and boxes are being set up around campus to gather donations up through Sept. 17 at 5 p.m. Volunteers will be needed Sept. 18 to help check in food donations, thank donors, sort food into boxes, and help transport food to cars and trucks picking up for local food pantries, schools and nonprofits. If interested, see the United Way of Tompkins County’s “Get Connected” page. School supplies: Notebook paper, colored pencils, highlighters, black/blue/red pens, markers, glue sticks, #2 pencils, 2/3” binders. 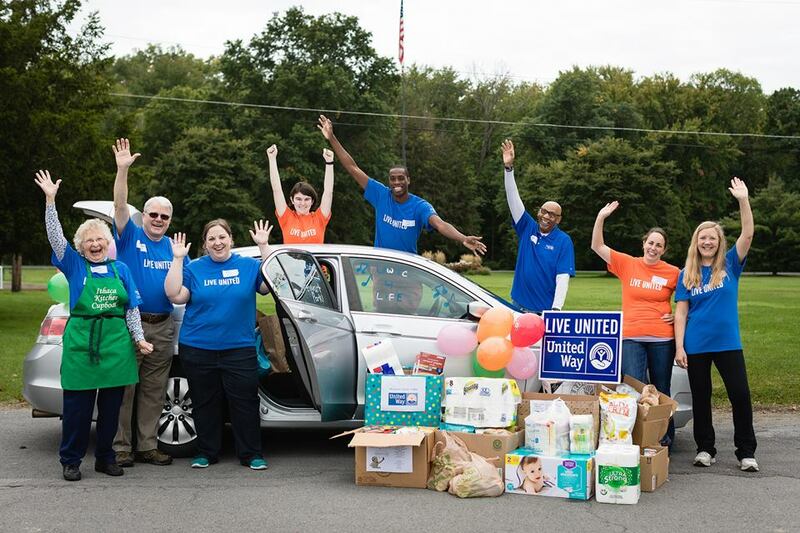 Donations also can be dropped off at the United Way of Tompkins County, 313 N. Aurora St., Ithaca, through Sept. 17 and on the Day of Caring, Sept. 18, up through 3:40 p.m. at the Stewart Park large pavilion.